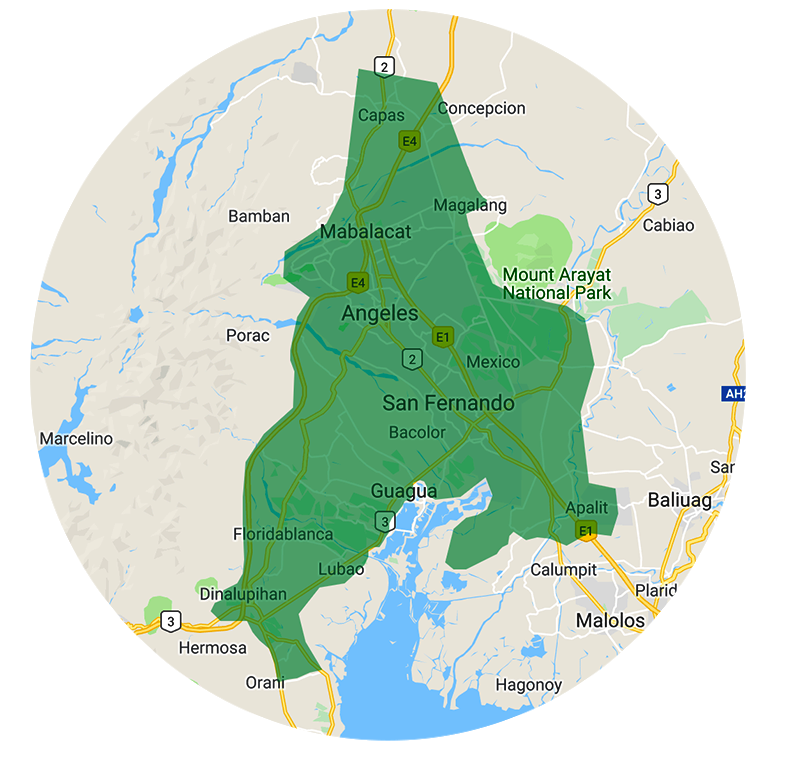 Transportify covers almost all areas in Pampanga and some parts of Bataan and Tarlac. Check out the map and the list of locations below to know if your location is included in our Standard Service Area. Book your deliveries with pick-up location anywhere within Transportify Pampanga Service Area to Mega Manila at a fixed price via Long Haul.